On 13 December, Russian Prime Minister Dmitry Medvedev proclaimed that Russia and Belarus may introduce a single currency. Various officials from both countries have regularly proclaimed such intentions since 1993. There has been no result to these back and forth in the past two decades, yet officials apparently have more interest in the process than in outcomes. Integration talk hides the reality of the diverging developmental paths of two nations. The results of bilateral relations are far from ideal as the decline by eleven percent in volume of Belarus-Russian trade illustrates. According to Medvedev, trade diminished due to negative processes in global markets. Indeed, declines might be a result of Russian policy. This is especially true after Russia's one-sided accession to the WTO took goods from cheap-labour countries squeezed out Belarusian goods from Russian markets. Russia does not want to consider Belarus a partner. It strangles Belarusian enterprises economically to force Minsk into selling them to Russia. The most publicised cases concern Belarusian oil refineries and its defence industries. Earlier, Lukashenka speculated on his being Russia's best ally. Now he has a harder time to gain favours from Moscow as Ukraine just became a lot closer to the Kremlin by rejecting the EU association agreement. It is no wonder then that the day after President Yanukovych of Ukraine got his deal with Putin Lukashenka rushed off to Russia. As Ukraine seemed to tilt towards the EU and Russia was on retreat in the region, Lukashenka believed that his positions as Moscow's only friend in relations with Kremlin were quite promising. On 6 December, he unexpectedly said that there was no obvious need to sell the Minsk Wheel Tractor Plant (MZKT). Despite the fact that the plant has been on a Russian priority buying list as an established producer of world-quality civilian and military special transport vechiles. “I always wondered about this eagerness to sell the plant […] sure, I am absolutely against it,” he said. Such statement contradicts promises which Minsk had given Moscow for financial aid after 2011 financial crisis in Belarus. After this latest Ukrainian rapprochement with Russia, Minsk had to adopt to a new view of reality. On 20 December Vice Prime Minister Uladzimir Siamashka said that next year a share in MZKT would be sold to a Russian investor. MZKT is a valuable asset yet it will lose in its value if Russia would implement its plan to exclude non-Russian enterprises from Russian arms production technological chains. 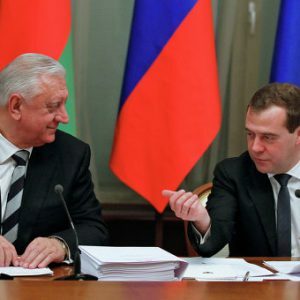 Moscow already started to replace its foreign suppliers with Russian companies and emphasised that it would provide no special exemption for Belarus despite its being the most loyal Russian ally. Moscow resorts to similar unfriendly means to get their hands on Belarus' oil refineries. Russia declined to agree with the Belarusian government on a yearly balance sheet of oil shipments to Belarus. Moscow agreed with Minsk on Saturday only on their oil export plans for January-June. In this way Putin can keep Lukashenka on a short leash. The Russians did as much in 2013 and are apparently going to do it again next year. As a result, while in 2013 Belarus was planning to import from Russia 23m tonnes of oil, it actually managed to get no more than 20.7m tonnes. Under these circumstances, Belarusian refineries face unpredictable workload schedules and can work only at 80-85 per cent of their full capacities which adversely affects their profitability. Belarusian Vice Prime Minister Pyotr Prakapovich openly lamented on Friday that Moscow was not willing to refine more oil in Belarusian refineries and sent its own crude abroad of Customs Union leaving its allies without work and revenues. Indeed, the Belarusian government cannot provide refineries with sufficient volumes of oil and has to sell its shares in them to somebody who can bring the necessary oil in. Prakapovich announced that Minsk had already sent to Russian Rosneft' its offer to sell its state-owned majority share in Mazyr refinery next year. The Russian Prime news agency reported recently that Russia was preparing to sign with Belarus a protocol on prolongation of December 2010 agreement. That agreement destroyed political economic basis of Belarusian regime as it made Minsk pay export duties on Russian-origin oil and products extracted from it. Before that, Belarusians get Russian oil on duty-free conditions, refined it and exported oil products, mostly to Europe, without paying any duties to Russia. The December 2010 agreement made Belarusian oil products' exports shrink and stripped the government of revenues estimated to be up to $4bn annually. Lukashenka repeatedly spoke of his hope that Putin will deliver on his promises and since 1 January Minsk will be relieved of its obligation to pay these duties. Moscow seemingly has better idea – Russian Deputy Prime Minister Igor Shuvalov in October said that Russia would begin duty-free oil trade with Belarus only in January 2015 and only if Minsk removed all its trade exemptions with Russia inside the Customs Union. The State Secretary of the Union State of Belarus and Russia Grigori Rapota on 4 December complained that only integration between several electronics firms (Belarusian Integral and Russian “Roselektronika; Belarusian Peleng and Russian “Roskosmos”) has gone well. However, other planned projects in chemical and machinery branches faced their own difficulties – integration between “Hrodna Azot” and “Gazprom” and “Evrokhim”; MAZ and Russian KAMAZ. As economic analyst Tatyana Manyonak told the Belapan news agency last week, it was Lukashenka who makes the final decision on the sale of Belarusian enterprises. And he is seemingly not in the mood to sell now. In addition to his ambiguous statements on MZKT, earlier in October, he publicly criticised the Russian proposals of the MAZ and KAMAZ merger, because the Russians failed to guarantee MAZ new investments, production increases, technological renewal and market expansion. The Belarusian government has for a long time been demonstrating increasing economic and political nationalism. So far it managed to neutralise Russian pressure on many points while getting from Moscow substantial preferential economic treatment and assistance. Even in the unfavourable conditions of 2011, as Minsk lost the option of “going West” after brutal crack down on post-election protests, the Belarusian government still managed to get billions of dollars of Russian help to overcome its financial crisis. For that, Lukashenka gave the Kremlin little more than a few promises most of which he does not seem to plan to deliver on. These tactics have paid off – Russia scaled down its demands and now Lukashenka can sell the same things once again. But this tug-of-war cannot last much longer. Beginning in 2010 Russian aid and subsidies have not been sufficient to bolster Belarus' ailing economy and the deficit of its current accounts regularly requires additional injections of funds. To get the money, the Belarusian government will both reform the economy and sell some assets. These economic changes will result in political shifts – however, this does not necessarily mean that they will lead to the establishment of a liberal democracy. The Centre for Transition Studies kicks off Belarus Profile – a searchable online database that contains the biographic information of over 200 people influential​ in Belarus. Belarus Profile differs from other who is who projects not only in its scope but also because it is available in three languages: English, Russian and Belarusian. The project has an advanced search option on personal information, details on individuals' education and career that help to detect patterns in the Belarusian political system. The results of a search of over 200 influential Belarusians reveals that Belarusian officials usually were born in villages and small towns. Civil society activists come primarily from major cities. 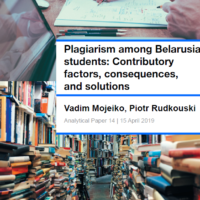 A search can also yield other interesting results such as many retirees remain active in Belarusian politics and hold senior state positions or point out that the Belarusian Agricultural Academy is a popular university among Belarusian officials. The Centre for Transition Studies plans to expand the biographies and the whole directory of influential people in Belarus, though will keep its focus only on leaders. The Centre already has expertise in Belarusian elite and plans to continue its research along these lines. Earlier this year Siarhei Bohdan, analyst of the Centre, published an analytical paper on the Belarusian political and economic establishment. Belarus Digest also frequently features articles on changes within the Belarusian government and civil society. Belarus Profile will help people outside the system to better understand how Belarusian state and society functions. Belarus Profile aims to de-mystify and deepen the public's knowledge about key decision makers in the country. It is also designed to help determine who the most influential people in Belarus are, where they come from, what their age is, as background on their education and careers. 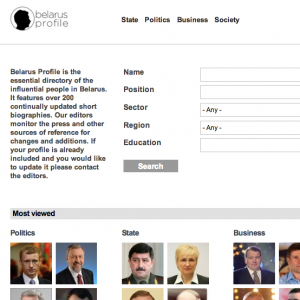 Belarus Profile strives to cover all Belarusian leaders: politicians, opposition activists, civil servants, and notable figures from academia, business, civil society, and other areas. Sections with biographies of state officials and civil society activists are the largest sections to be found in the directory. Belarusian officials usually come from villages and small towns, while civil society leaders and business people typically come from major cities. In Belarus, influential people present all six regions more or less evenly. Although most influential people originally come from Belarus, a significant minority of them have their roots in other countries. Many influential Belarusians were born in Russia and play important roles in state institutions such as Andrei Kabiakou, the current Head of the Presidential Administration. Other notable figures include Kiryl Vakhrameeu, Filaret and Patriarchal Exarch of All Belarus, Aliaksandr Bialiatski, human rights defender and political prisoner, Anatol Mikhailau, who runs the European Humanities University. Some prominent Belarusians have roots in Ukraine. Individuals like famous writer Sviatlana Aleksievich, Iuryi Zhadobin who is in charge of the Ministry of Defence and Uladzimir Peftsieu, the richest businessman in Belarus, were all born there. It is very popular myth in Belarus that people who were born in Mahiliou region are elevated to high positions in governmental institutions, but as the database shows, this is not entirely true. Many people influential people were not born in that region, but rather worked there for a long time, a fact that holds true for individuals like Aliaksandr Radzkou, Chairman of the Public Association Belaja Rus or even Aliaksandr Lukashenka himself. The Belarusian political elite lacks middle aged people. Most of them are part of an older generation, some even retirees. Mikhail Miasnikovich, Prime Minister of Belarus, was born in 1950. Anatol Rubinau, Chairman of the Council of the Republic, remains Belarus' oldest top official having been born in 1939. As Zmicier Pankaviec of the Nasha Niva newspaper noted two years ago, of the 60 main leadership persons 11 were retirees. Today retirees hold 21 high level positions. Viktar Lukashenka, Assistant to the President on National Security Matters, was born in 1975 and can be considered the most influential young civil servant, though in his particular case age does not really matter. Andrei Shorats, Minister of Housing and Communal Services, who was born in 1973, and Aleh Slizheuski, who born in 1972, remain the youngest ministers in Belarus. The Business elite is younger than governmental elite. Many entrepreneurs were born in the 60s. Most of them, such as perhaps the most well-known Belarusian business man Iuryi Chyzh, made their fortunes after the collapse of the Soviet Union. The opposition elite's average age falls somewhere between the authorities and business. People who were born in the 40s like Uladzimir Niakliaeu, Aliaksandr Milinkevich, Zianon Pazniak still play a significant role in opposition politics. However, a new generation of politicians has emerged. Pavel Seviarynets of the Belarusian Christian Democracy Party, Aliaksandr Lahvinets and Iury Hubarevich of the Movement for Freedom, Volha Karach of the association Nash Dom and Aliaksei Ianukevich of the Belarusian Popular Front Party all appear ready to step up and play a significant role in Belarusian politics in the future. Belarusian State University remains the main incubator for influential people in Belarus. This follows from the fact that BSU is the most authoritative university in the country and holds highest position in international rankings. Many representatives from the economic, social and political elite have studied there, including the ruler`s children – Viktar and Dzmitry Lukashenka. Belarusian State Economic University and Belarusian National Technical University are second and the third Belarusian universities with regards to their respective influence. Also, a significant segment of officials graduated from the Academy of Public Administration under the aegis of the President of the Republic of Belarus. Usually, officials receive a second postgraduate higher education here in order to advance their careers. The Belarusian Agricultural Academy remains very popular among the government's elite. Aliaksandr Lukashenka and other government employees, like deputies of the Prime Minister Anatol Kalinin and Mikhail Rusy, have all studied there. Few women in Belarus can be considered very influential. Among them Mariana Shchotkina, Minister of Labour and Social Protection, Nadzeia Ermakova, who is in charge of the National Bank and Lidziia Iarmoshyna, Chairperson of the Central Election Commission. Alena Kudravec of the Belarusian Potash Company appears to be the only woman who has climbed to the top of the Belarusian business world. Volha Karach of the association Nash Dom, journalist Iryna Khalip, Ivonka Survilla of the Council of the Belarusian Democratic Republic and Agnieszka Romaszewska, who runs Belsat TV, all remain active in the public life of Belarus. However, Survilla and Romaszewska respectively hold citizenship from Canada and Poland. It is easy to deduce, then, that Belarusian political life remains dominated by men. The Centre for Transition Studies, will continue its research on the Belarusian establishment. According to its director, Yarik Kryvoi, Belarus Profile will also regularly prepare infographics on how politics in Belarus works and will publish a guide which will help Western readers to better understand Belarus' political system.